Categories: Dharma Items, Tinchas Cymbol. 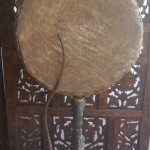 Tag: TINGSHA CYMBALS. 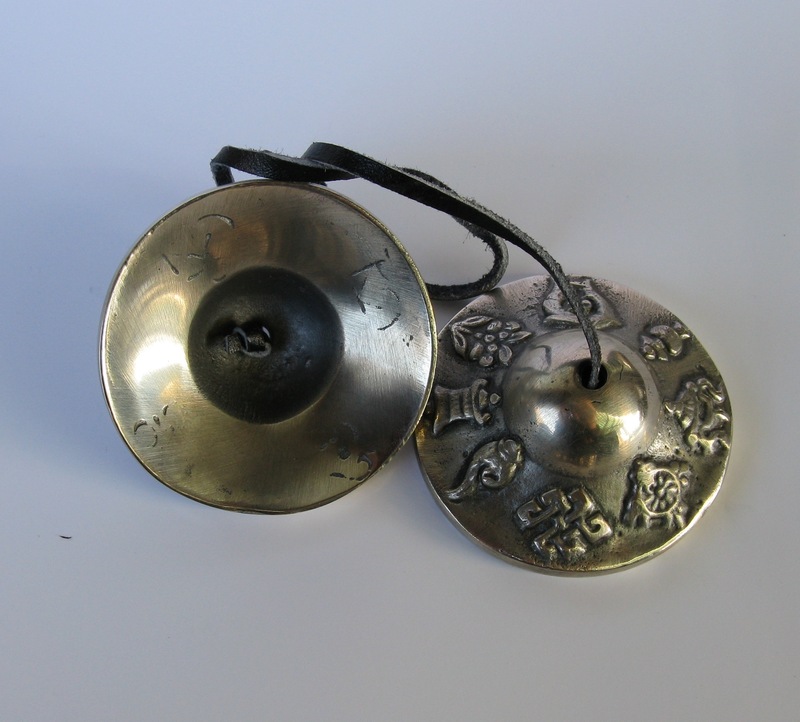 Here are some rare Asta Mangal Tingsha Cymbals used by the Tibetan and many other Buddhists for meditation through sound. 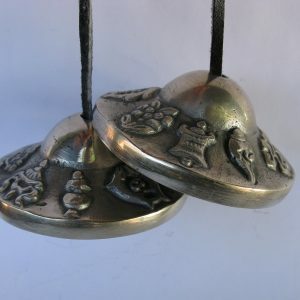 The Asta Mangal Symbols or Eight Auspicious Symbols have great significance in Tibetan Buddhism. Notice on the backside the OM symbol in three places.Thich Nhat Hanh (Buddhist monk and author of “Being Peace” and many other works) wrote: ” The sound of the Tingshas is the Buddha calling you back to yourself.” I think he sums it up beautifully. 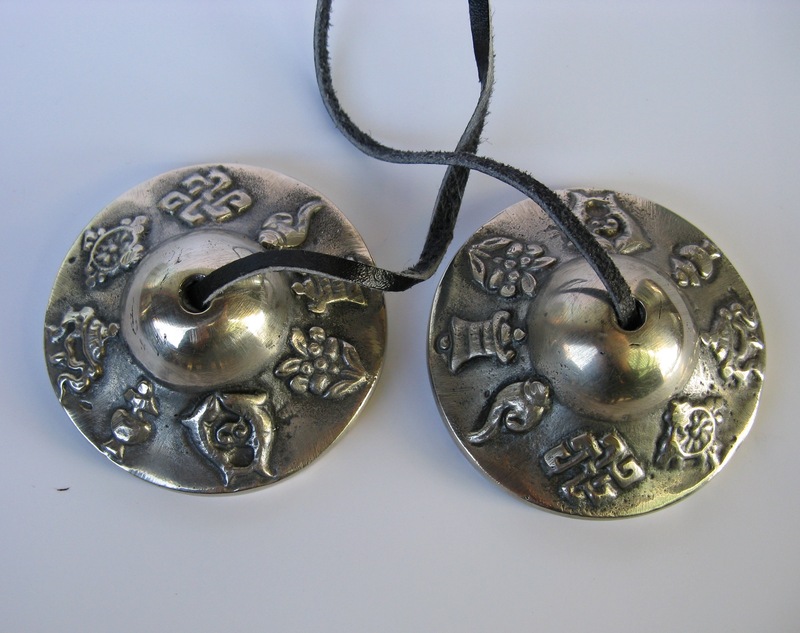 These Tingshas were produced by Tibetan refugees in exile and supports their community. These Tingshas are thick and weigh around 5 oz. 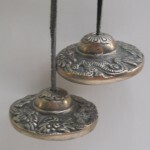 They measure about 2.5 inch diameter and have a clear pure sound. 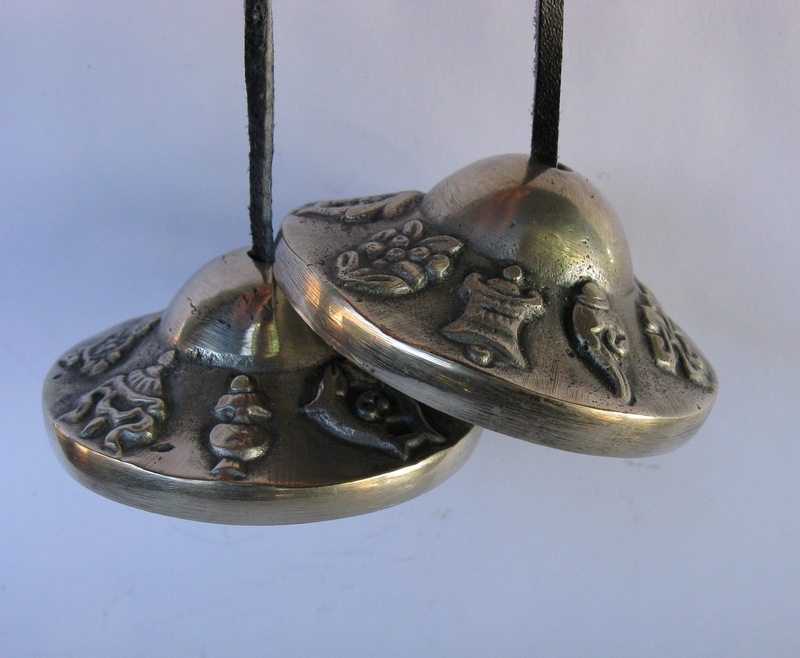 Use them as the Tibetans do to “feed the hungry spirits” repelling the negative and attracting the good. 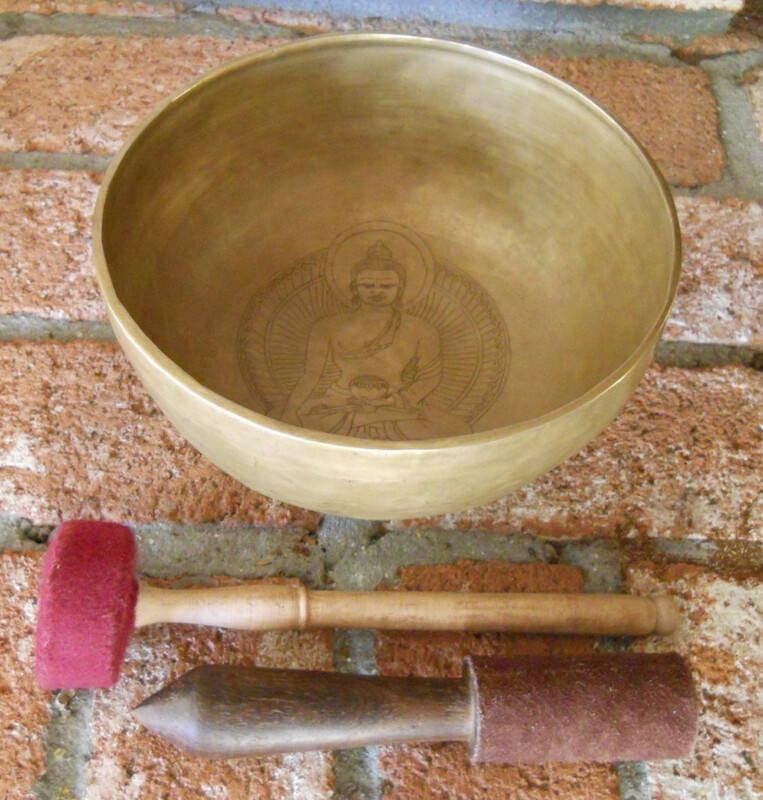 Ritual Objects from the Tibetan Buddhist tradition are Meditative tools of Awareness that give us access to Higher Consciousness. It is through Ritual, Meditation, and Chanting that we have an opportunity to Transcend the mundane illusion of Maya and directly experience the subtler levels of Existence. 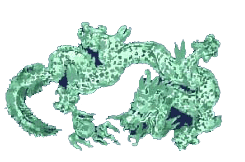 All of Creation is oriented toward Evolution of the Soul through our Experiences while we are in a body. Self Inquiry and Personal Growth is not just a creative exercise. It is the only activity worthy of Human incarnation.